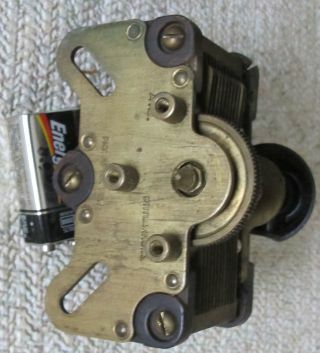 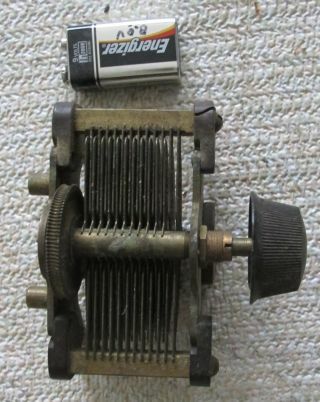 Here is an Antique Brass Radio Tunning Capacitor. 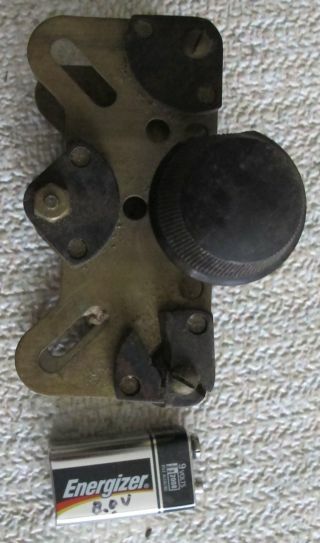 This is a radio part from the early days of radio. 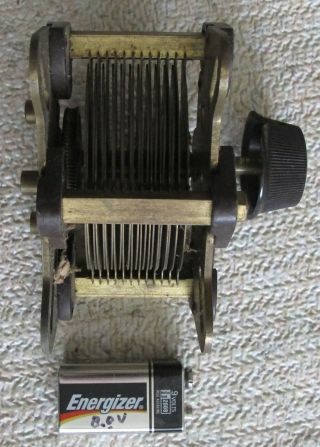 Many of the radio parts had to be created for the first time. 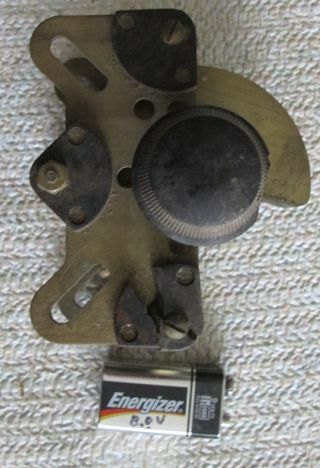 This lead to many interesting designs for the parts such as this one.